Note how the destination IP is a multicast IP address : 239.255.255.250. 6. In the WLAN > LAN and LAN > WLAN firewall rules I defined a rule to allow all UDP communication between the server and XBOX. For further security, you could run a packet capture to see which ports are being used by the XBOX, but these change so it’s a bit of a gamble. 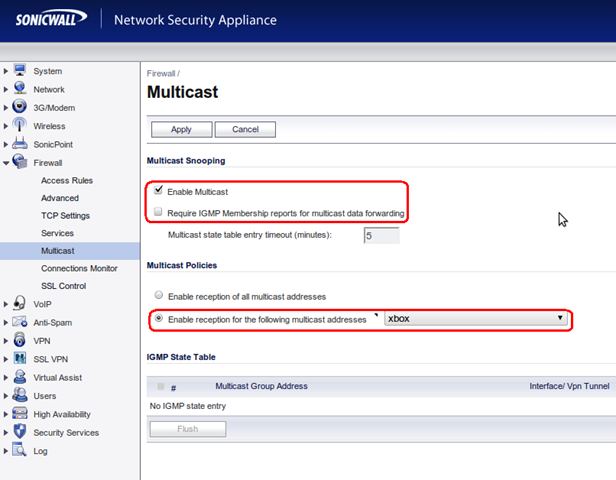 Note that multicast only is used in the initial discovery phase, once that is done (i.e. xbox finds the UPnP server) the traffic is UDP unicast between the two nodes. Hi! Thanks for the information. The one thing I’m having difficulty with (being a linux noob) is figuring out what I need to set ?USHARE_IFACE=eth0″ to. 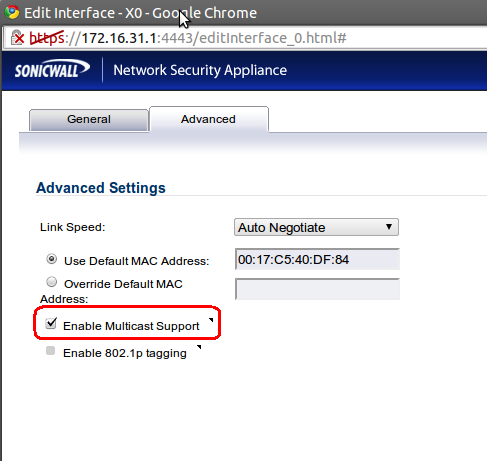 I am using a computer that is connected through a switch, then a router. eth0/eth1 aren’t working. Any ideas? The USHARE_IFACE variable tells ushare which interface to “listen” on, that is, which IP address it will use. 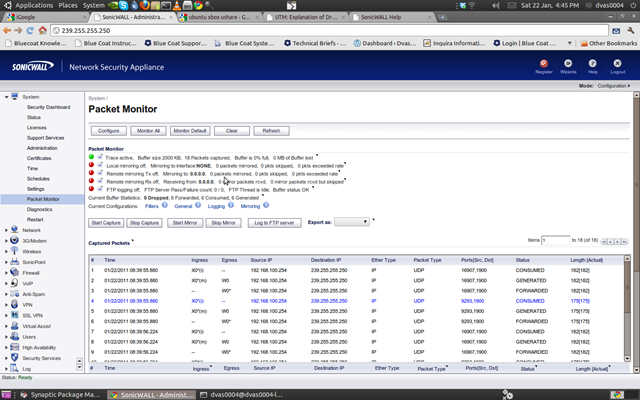 Most PCs have a single interface connected with a valid IP. To check which interface you should use, from a commanld line, run the command ifconfig, that should give you a list of currently active network cards. Look at the output and try to find the IP address that you normally use for your PC, and use the corresponding network card. Thanks, this also helps accessing DLNA Servers from WLAN (SonicPoint) to LAN.